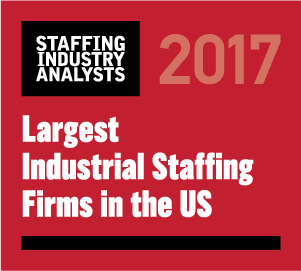 Staffing Industry Analysts (SIA) has named The Ōnin Group on its lists for Largest Staffing Firms in the US, Fastest-Growing Staffing Firms in the US and Largest Industrial Staffing Firms in the US. The Ōnin Group is a Birmingham-based privately held group of companies focused on creating opportunities and empowering people, with a focus on domestic staffing. Our staffing brands include Ōnin Staffing, Excelsior Staffing, A3 Solutions, Focus IT, Ōnin Medical and Ōnin Professional Search. SIA is the global advisor on staffing and workforce solutions and releases its report annually, ranking firms by revenue. Hello Richard. Our complete list of branches is here: http://www.oninstaffing.com/locations/ Thank you for your interest, and please let us know if we can be of any further assistance.